Retreats are an excellent way to deepen your yoga practice. Away from the distractions of work and home, there is time to devote yourself to studying alignment, to chanting, to flowing dynamically or to just sitting still in meditation. Some retreats last just a weekend; others longer. They are hosted in stately homes in the English countryside, in Mediterranean beach houses, or eco-lodges in the foothills of Indian mountains. These retreats are not organised by triyoga but are run by our highly experienced teachers. The retreats page is updated frequently, so check back often to see what’s new. Join Erika for a week of purification and rejuvenation in southern Spain, our annual Spring Awakening retreat. This will be our fifth year at this beautiful venue, everybody’s favourite. 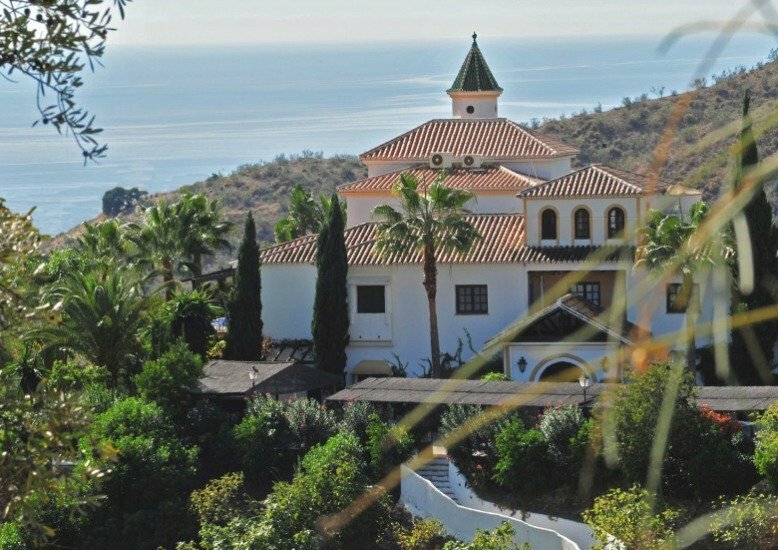 Immerse yourself in the healing power and beauty of Hatha and Kundalini yoga, swimming in a salt water pool, sauna, walking in the stunning Andalusian foothills, horse-riding, cycling and great company. There will be five hours of practice per day with one afternoon off for excursions further afield. Suryalila is a stunning yoga retreat centre located on the site of an ancient olive oil factory in the heart of Andalusia, Spain. Location: Suryalila Retreat Centre, Andalusia, Southern Spain. 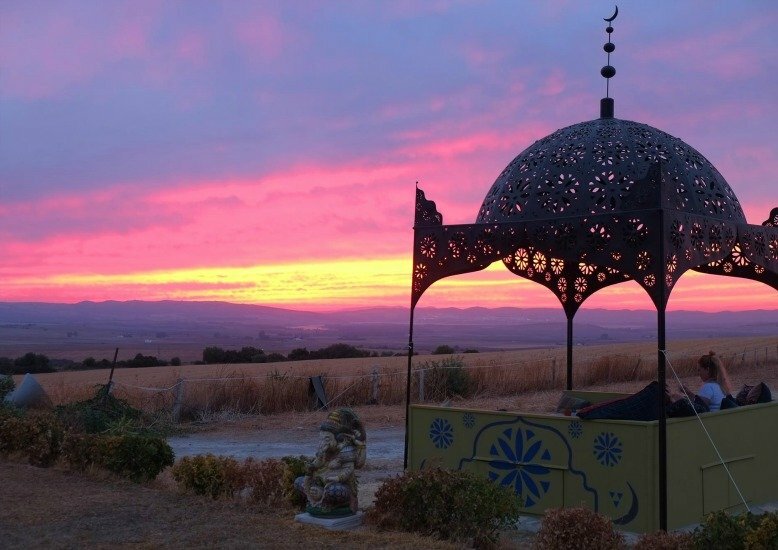 Come join Sunnah Rose for a long weekend of yoga in Portugal this Easter Weekend. 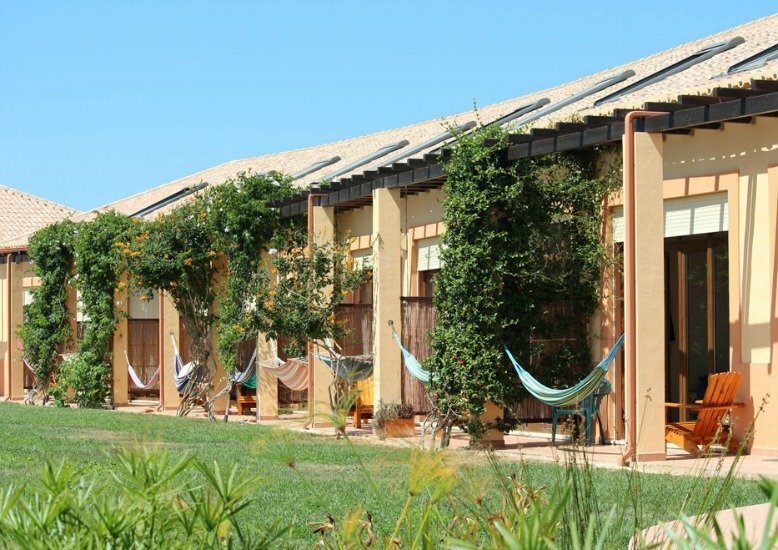 The retreat is being held at Casa Vale De Lama, a solar passive house set in farmland abundant with orange, olive and almond trees giving you all the comfort you need for harmonising yoga practices and a pleasant stay. There will be dynamic sessions, gentle sessions, Pranayama, Meditation and Yoga Nidra to get your yoga fill. There will also be free time every day to enjoy the wonderful surrounding area, which includes a swimming pool, a nearby beach and lots of lovely nature. All are welcome. 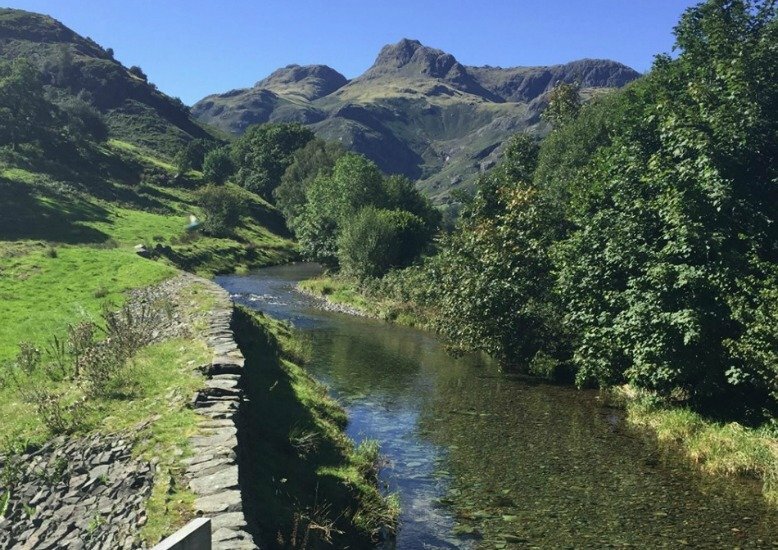 Explore the captivating land that Wordsworth and Beatrix Potter loved. Includes daily walks (5-10km each) led by a professional local guide, ground transport to support walks as needed, morning and evening yoga and meditation, and delicious vegetarian meals. Stay in Nab Cottage – quirky, Bohemian and complete with sauna, hot tub, yoga barn and opium den intact from the days of Wordsworth and Coleville. Easy walk to Grasmere for arguably the best gingerbread in the world. We start with a walk Friday at 14:30 and finish with a walk or Nidra around 17:00 Sunday. All levels welcome. Closest train station: Windermere. 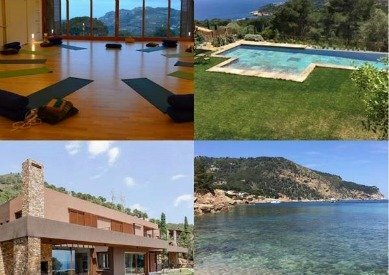 A beautiful and secluded venue next to the sea, right in the middle of nature, surrounded by stunning scenery – mountain views, sunsets during the evening yoga practice and dinner. The yoga, swimming pool and dining areas overlook the turquoise coastline – it is breathtaking! Each day there will be two yoga classes, meditation, pranayama, three delicious vegetarian meals, downtime for reading, sunbathing, excursions, relaxing, swimming, beach time, chatting, reading and napping etc. There is a gorgeous rocky cove five minutes walk away where you can swim and snorkel. 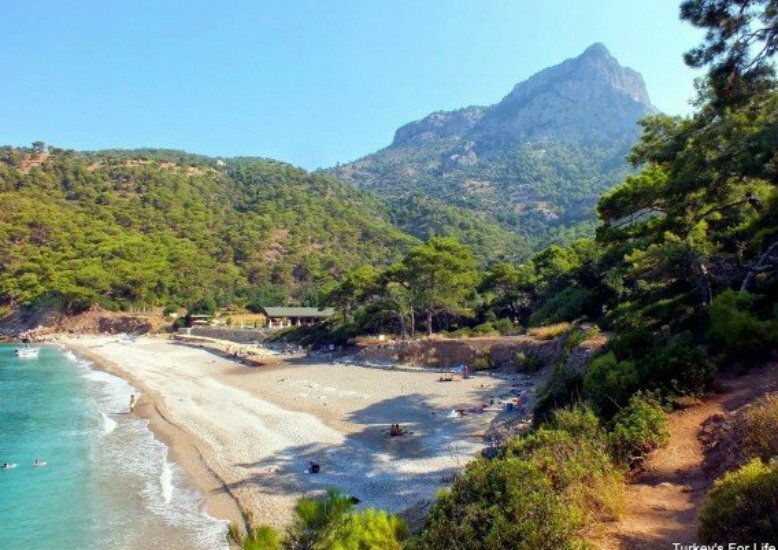 Kabak beach is an hour’s walk away along a beautiful coastal path, or 15 minutes away by car or bus. We’ll be strengthening and stretching the body with Dynamic Vinyasa yoga; sinking deep into relaxation with Yin, Restorative and Yoga Nidra; and letting go of unhelpful habits whilst opening up to fresh ideas through nourishing breathing, Qigong and mindfulness practices. The stunning beachside studios and yoga deck are no more than 100 metres from the sea and a secluded stretch of sandy beach. 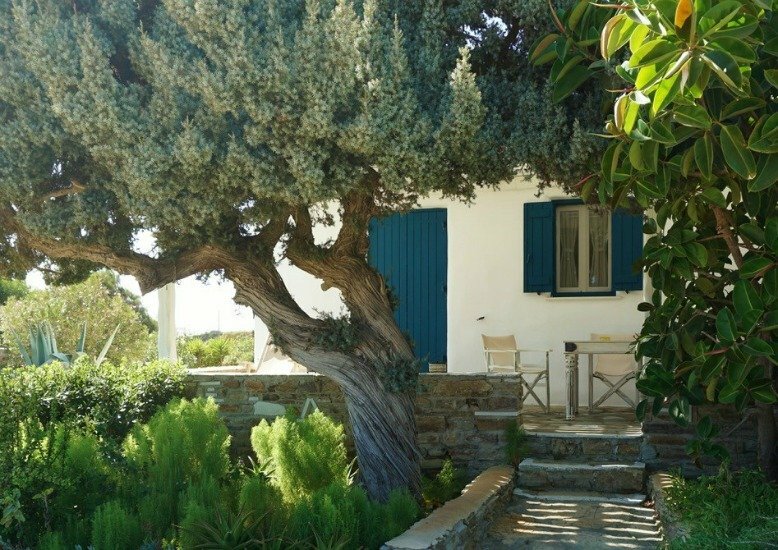 The main village of Antiparos, with its narrow, cobbled stone alleyways, funky shops and cafes and pink and purple bouganvillea, is within easy walking distance, 10 minutes by ferry from its neighbouring sister, Paros. Join Reset Retreats and James Cassidy at this spectacular former cognac estate dating back to the 16th century. James is one of our most popular teachers, and he’ll take you through a full week of yoga and meditation with a chance to really get into the full practice, leaving physically and mentally renewed and invigorated. The wonderful Charlotte from Oat Kitchen will be along to do the healthy, yet delicious food – overnight oats, eggs, fruit and pastries for brunch, delicious salads or tortilla and quiches for lunch, then three courses every evening. Enjoy full spectrum yoga at wonderful Centro Santillan! Our 60+ years’ combined yoga teaching experience integrates wisdom, humour, passion, care and dedication to our students and yoga as a way of life, community and a healing art. We offer three daily yoga sessions, plus three delicious meals (vegetarian and fish) per full day. 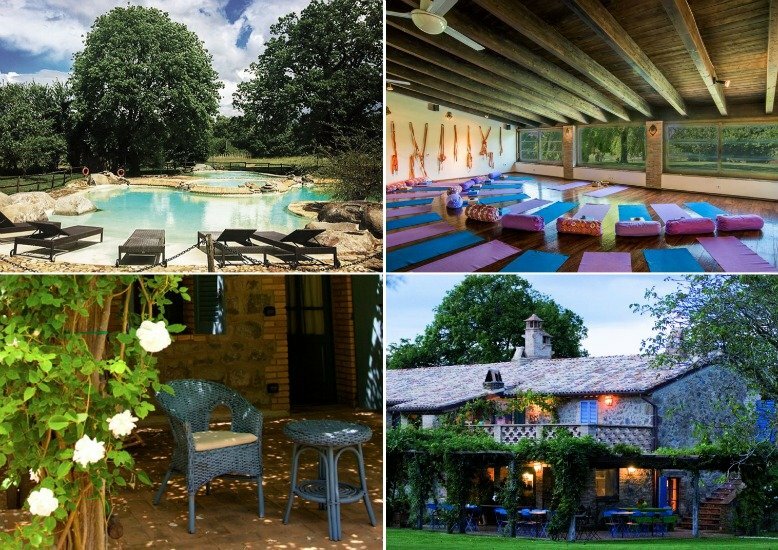 Centro Santillan provides a first-class, fully equipped yoga room, a saltwater pool, gardens and special spaces for quiet reflection and connection with yourself and others on 30,000 square metres of peaceful countryside with beautiful sea views. All rooms en suite. All levels welcome. Closest airport: Malaga. A women’s retreat to reconnect, recharge and transform. 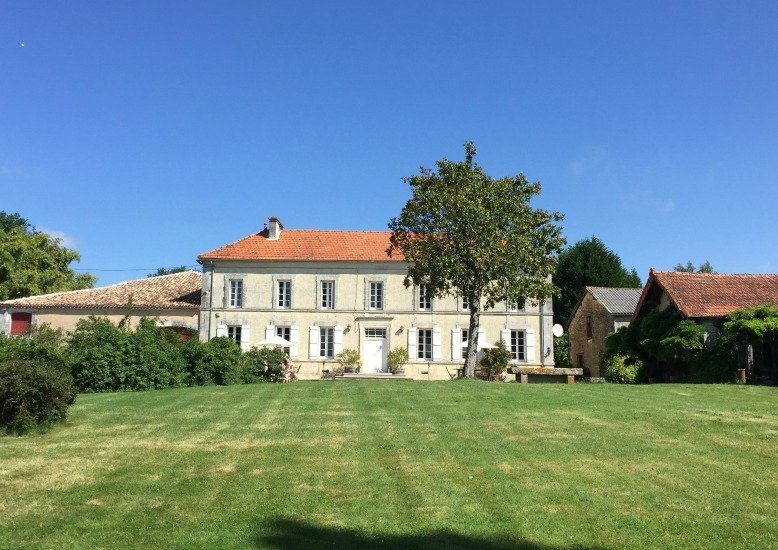 This four day retreat is set in the beautiful countryside of Lot-et-Garonne, South West France. You will connect with a supportive community of women and learn lifestyle tips for empowerment, beauty, hormonal balance and radiance through the practice of Kundalini yoga. Join us at La Balie to awaken your feminine power for confidence, grace, vitality and transformation. Everyone is welcome, whether you are an experienced Kundalini yogi or a complete beginner. 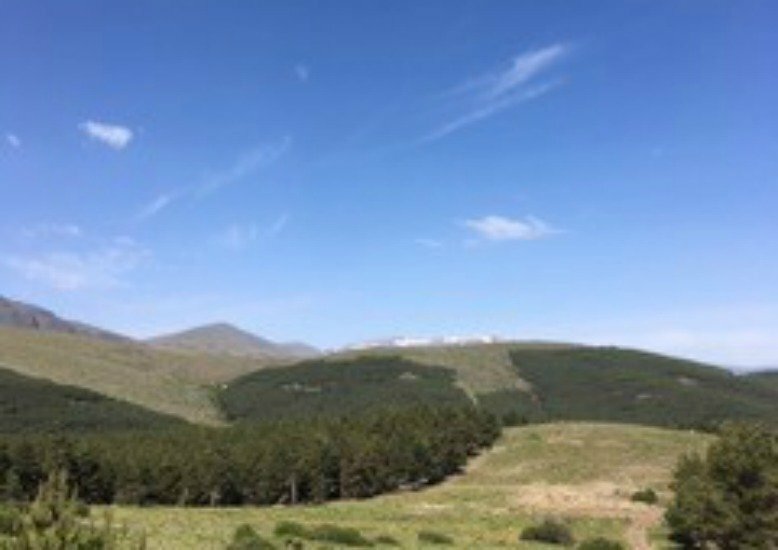 Set in the picturesque Sierra Nevada, overlooking the Alpujarra Mountains with daily yoga to deepen your practice or, if you are a beginner, to introduce you to the practice of yoga that can develop strength and flexibility. Las Chimeneas oozes rustic charm and offers peace, relaxation and a genuinely warm welcome from Emma and David. We will offer some longer hikes up in the Sierra Nevada, steadily paced with our lunch pack! So there will be plenty of time to take a breather and pause to look at the magnificent views. Two interested Golden Eagles followed us one time. There is an outdoor plunge pool and glorious vegetarian Andalusian food. Location: Las Chimeneas, Mairena, Southern Spain. Open a new window on your life. Remember who you are. 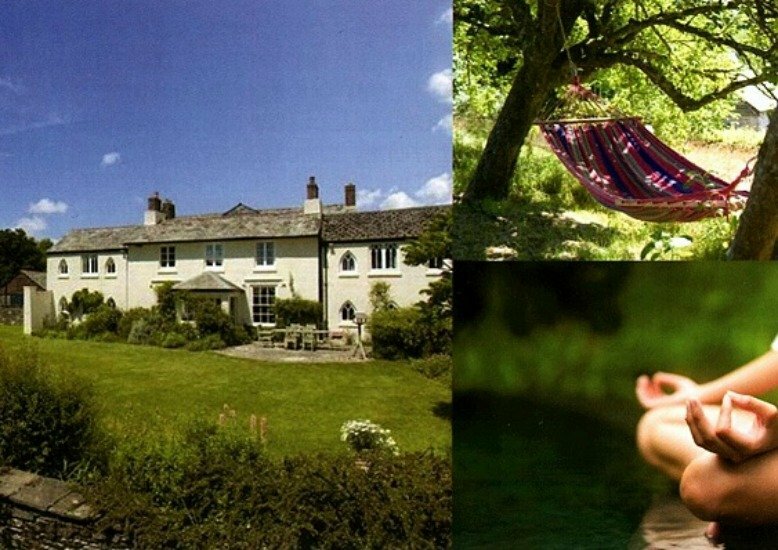 Bring your body and mind into balance on this relaxing, yet stimulating, retreat in the Cornish countryside. 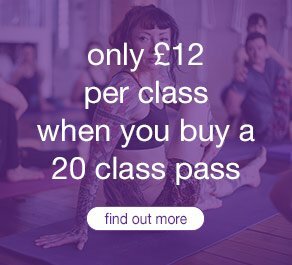 Enjoy daily classes of yoga and Pilates, along with meditation and art mindfulness sessions designed to relax, stimulate and inspire. Your hosts Karine and Charles will guide you on your holistic journey to a land of health and well-being, with a splash of English humour and French style! With three delicious vegetarian meals per day based on fresh local produce, you will feel satisfied in mind, body and spirit. Set in the picturesque Sierra Nevada, overlooking the Alpujarra Mountains with twice daily yoga to deepen your practice, or if you are a beginner, to introduce you to the practice of yoga that can develop strength and flexibility. Las Chimeneas oozes rustic charm and offers peace, relaxation and a genuinely warm welcome from Emma and David. There will be walking (to suit all levels of fitness) and visits to local craft people, and there is an outdoor plunge pool to relax by. The food is vegetarian, locally produced and cooked in Andalusian style. Location: Las Chimeneas. Mairena. Southern Spain. 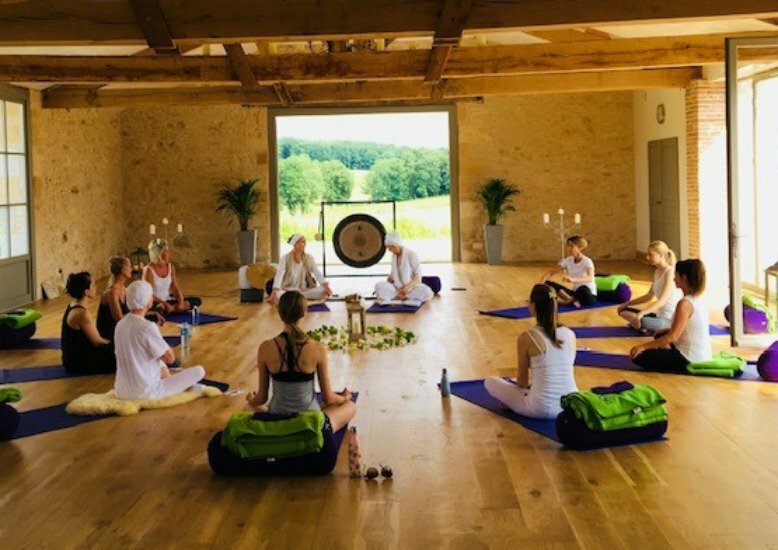 Described as a “Slice of Heaven on Earth” in 30 acres of natural beauty, this is the perfect setting to immerse yourself in all aspects of yoga. This retreat is hosted by Florentina and Sarah, who will hold a welcoming space for you to deepen and enrich your practice. 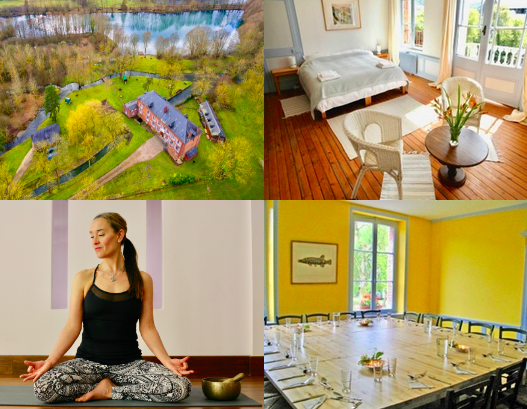 Twice daily yoga, asana, meditation, restorative, & yoga nidra, great company, 3 delicious vegetarian meals, massage, a lake to swim in, talks on philosophy and a cacao ceremony to partake in. Plenty of time to totally relax, to connect to yourself, nourish and revitalise your being. Return uplifted and inspired to live life more mindfully. Anna returns to the rustically beautiful Locanda della Quercia Calante, a renovated traditional stone farmhouse nestled in the hills of Umbria situated near to the spectacular hilltop medieval town of Orvieto. La Locanda includes a spacious fully equipped yoga studio, an outdoor yoga deck with a view of the mountains, a spring water pool, and an organic farm supplying the food for the retreat. Each day begins with meditation and journaling, and then after breakfast there is two and a half hour yoga class that reflects a particular yoga teaching and includes slow-flowing alignment-based instruction. The day ends with restorative yoga including pranayama and meditation. All levels are welcome. Location: Locanda della Quercia Calante, Orvieto, Italy. Nourishment from the inside out (and the outside in) to sustain you through the change of seasons. This spectacular state-of-the-art venue, nestled above the scenic cove of Aigua Blava on the North Eastern coast of Spain, is just a short walk from beaches and the local town of Begur. We’ll be strengthening and stretching with Dynamic Vinyasa morning practices plus deep relaxation and nurturing with Yin, Restorative and Yoga Nidra in the afternoons. Panoramic views from the yoga space, infinity swimming pool, healthy and delicious vegetarian meals, and plenty of free time to explore.